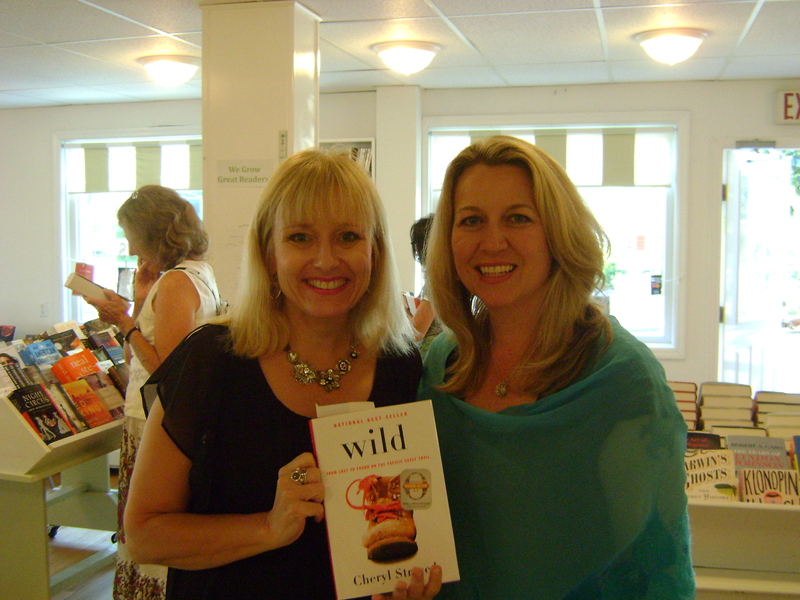 Me meeting NYT Best-selling author CHERYL STRAYED July 2012 at Book Hampton in Mattituck, Long Island, NY. It was also at this time, that I vacationed with several girlfriends on the north fork of Long Island. We were all dealing with separate events in our lives. One friend was about to send her daughter off to boarding school that fall, even though she could barely afford it, somewhat against her daughter’s will, but her teen’s behavior was out of control and she’d balanced all the scenarios and this won out. Her friend arrived a few days later and she was straight out of the pages of workaholics anonymous. She was nice enough, but if we weren’t talking work, she was not interested. It kind of reminded me of the old high-power work me. She and my friend would power walk, power yoga, power strategize, power drink their coffee, power eat their cereal. I stayed the hell out of their way. I just made sure I got up, had some coffee and ate my raison bran. I was supposed to be writing, but that wasn’t happening on this trip. I was going with the lovely Long Island Sound vibe. I spent time eating some very fine food and drinking some very wonderful east-end wine, and I went to a book reading featuring Cheryl Strayed, which was magical. But, here’s the thing about WILD. The most important part of this post. I just finished reading WILD today, February 1, 2014 – A YEAR and a HALF after meeting CHERYL and purchasing the book, which has recently come out in paperback. I don’t believe in woulds/shoulds/coulds, but if……. WILD is Cheryl Strayed’s memoir about her eleven hundred mile solo hike along the Pacific Crest Trail that broke her down to her core and built her up back again stronger than ever. She had no experience at the beginning. It was just an idea to put back a life that had come undone, and against all the odds she came out beautiful and courageous! FYI: The film will be out soon with Reese Witherspoon starring and Executive Producing.